The Thor Washer and Dryer is an innovative product that allows the user to both wash and dry laundry in the same appliance. It is a favorite of people who have little space for their laundry machines, not just because it only requires one appliance, but also because it operates without the need for an outside dryer vent line. Also, Thor machines can be loaded from the front instead of the top, which means the user doesn't need to devote a lot of wall space to them. Original: This is an update of the very first Thor Washer and Dryer model. It has a capacity of two cubic feet. It features five washing cycles and two drying cycles. Apex: This machine offers the best of both worlds. It is a stackable set of both a washer dryer combo and a separate 220 volt dryer. This allows for ultra-quick dry times and lets the user work on two loads of laundry at once. Note that the user must physically move the clothing from the washer dryer combo to the separate dryer. SoftLine: This machine is designed especially for people who have a lot of delicate clothing, such as cashmere and wool sweaters. It has eight different wash cycles with a focus on fabric care. This machine holds 14.5 pounds of clothing. RX Marine: As a Thor machine made for use on boats, this machine has external venting to help dry clothing quickly despite the damp, sea air. It is made to resist corroding and further being damaged from salt water. Who Invented the Washing Machine and Dryer? All Thor machines are made with enamel coated stainless steel. Portable Kit: This allows users to hook their washer dryer's drainage system up to a standard sink, which could be ideal for someone who doesn't have another way of disposing of the wastewater. Water Catch Tray: This polyurethane tray fits underneath the Thor machine to protect the user's floor from leaks or drips. Pedestal: This item can be used to lift the Thor machine up 12 inches off the ground, which can benefit people who have trouble bending down to retrieve their laundry. Note that it only fits the Apex when it is not stacked. Laundry Shelf: This shelf is meant to fit between the Apex's washer and dryer when it is stacked. 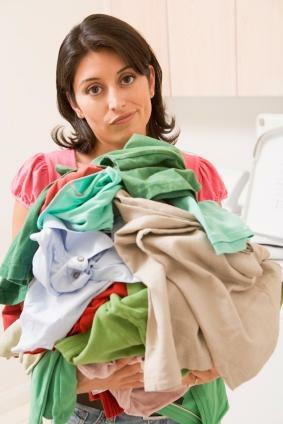 It works well for setting clothing on when folding it or for laying out clothes that cannot go in the dryer. It slides in between the two Apex machines for easy storage. Thor machines are built to not only save human labor, by not making the user move the clothes between cycles, they are also built to save energy. In fact, all models of Thor machines far exceed 2008 Energy Star standards. Sure, having a washer and a dryer in one sounds great, but that doesn't mean it is right for everyone. One huge barrier to obtaining a Thor machine is the price, which is way above the budget for many families. Another potential problem is that if the Thor breaks the owner is out both a washer and a dryer at the same time. This does not mean a Thor is not a good item to have, just that potential buyers need to put some thought into the purchase.